The Company was incorporated as an Argentine limited liability corporation (sociedad anónima) in 1945 under the name Frigorífico La Pampa S.A. In 2003, the former business activities, which were limited to the ownership and operation of a warehouse building, were suspended. In 2005, the Company was acquired by the principals of Grupo EMES (formerly Grupo Dolphin), an Argentine private equity group, to serve as a corporate vehicle for its investments in Argentina. The name was changed first to Pampa Holding S.A., and subsequently to Pampa Energía S.A., given the Company’s focus on the energy industry. 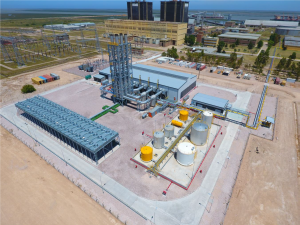 Senior members of Grupo EMES (formerly known as Grupo Dolphin) acquired Pampa Energía to channel their acquisitions in the energy sector. Pampa increases its capital stock in 140 million shares at AR$1 per share. Pampa increases its capital stock in 300 million shares at AR$1.15 per share. Pampa increases its capital stock in 600 million shares at AR$2.23 per share. Pampa acquires controlling stake of Edenor through a share swap. Pampa increases its capital stock in 480 million shares at AR$2.61 per share to carry out the exchange. The first unit under the Energía Plus scheme. More than 200 million shares were bought back, being later cancelled in the capital stock. Under the ticker ‘PAM’ as sponsored ADSs (American Depositary Shares) level II program. Electricity to be sold as PPA contract with CAMMESA. Settlement of the defaulted debt, which was acquired in January 2011, and designation of Pampa Energía as the CIESA Trust’s beneficiary, which holds 40% of CIESA, the controlling company of TGS. 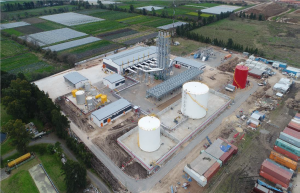 Petrolera increases its capital stock by 59.7 million common shares at AR$1.6 per share. Pampa acquires the controlling stake of Petrobras Argentina, thus becoming one of the leading energy companies in Argentina. Pampa and Petrobras Argentina operate as a single entity, setting the effective date of merger as of November 1, 2016. Pampa places the Series 1 Corporate Bond (CB), which was dollar-denominated and bore interest at a fixed rate for a face value of US$750 million. The issuance price was 99.136% of the par value, at a 7.5% nominal fixed annual rate, yielding 7.625% and maturing 10 years as from issuance. 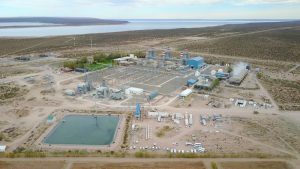 The Central Térmica Ingeniero White with a 100 MW capacity started commissioning. 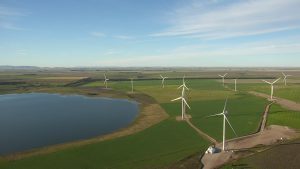 Commercial Commissioning of the first Wind Farm Engineer Mario Cebreiro with a 100 MW capacity, which given the technology and size, it is also the first project to reach such milestone under Renovar 1 program.